Even though it’s expected that the unemployment rate will follow a steep decline, yet finding the right job can still be challenging enough. On the other hand, hiring the right candidate is also an equally difficult task. At times, it may seem your job search not working. You are sending resume after resume for matching job positions, but nothing fruitful is coming out. Then you start giving it a thought, why is this happening? How come, others are getting new gigs and you are stuck in the same mundane job or still looking for one! Internet is everything now. Probably, you have been busy devoting a lot of time on building a powerful resume, but instead you should create a good, powerful LinkedIn profile with updated information. Having an optimized profile helps you gain the interest of notable recruiters who are in search for people like you. Include a summary, a headline, a photo and specializations, so that it pleases anyone who visits your profile. A promising candidate should have all the attributes of being competent, adaptable, flexible, collaborative and influential. Flexibility is the key to success and a fuller career. Culture fit is essential. A certain skillset can be taught, but the zeal to do homework on the company you are going for an interview cannot be taught. That you have to develop on your own. Recruiters appreciate people who do homework on the respective company and frame answers about how they can be an asset to the company. It’s always advisable to do your homework. Applicants whose answers are down to earth, authentic and show passion stands out in any interview. 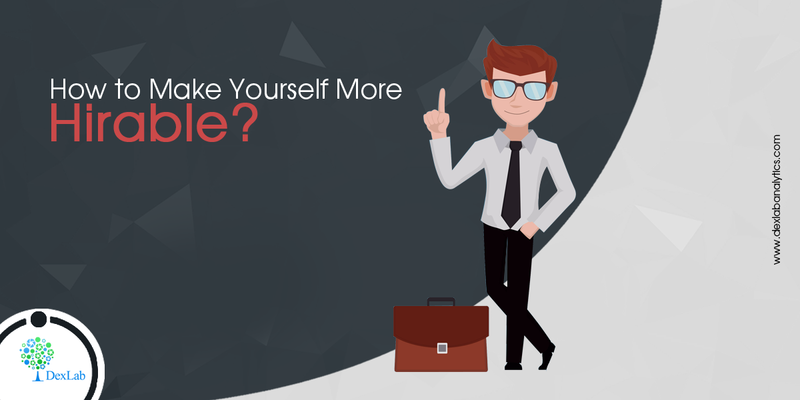 The best way to impress your employers or recruiters is by having a personal website – with just one URL, you can allow hiring managers derive a whole lot of information about yourself and your work. And if you are looking forward to change your career path, you can flaunt your new passion in a great way on your personal platform. Every company receives a lot of internal referrals for recruiting and some of them are quite successful. Through this procedure, they make it sure that they find the right candidates for designated job positions. Hence, networking matters – let your network know what kind of job you are looking for. You never know which conversation will lead you where – because here every interaction is seen as an opportunity. So, just don’t waste it in vain. Today, jobs in the field of data science and big data are flourishing. More and more interested candidates are getting trained to join the bandwagon of data analytics. DexLab Analytics is a premium data science learning platform that offers in-depth training on all major data related in-demand courses. Their data science training online is excellent. Get all the details from the website.